Coppercoated Entertainment Agency utilizes all the resources at its disposal to ensure you have a winning promotional opportunity in Canada. 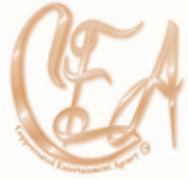 To safeguard our clientele and protect our valuable contacts Coppercoated EntertainmentAgency reserves the right to withhold information pertaining to vendors, products, leads and purchasors. This information is deemed proprietary and will be released soley at the discretion of Coppercoated Entertainment Agency. And much more!! Contact us for more information on our additional services.